DETAILS: Our Boozy Brunch Club is only available Saturday's and Sunday's with two time slots available, one from 11am til 12:30pm and the other one from 1pm til 2:30pm, so please book in advance to avoid disappointment. 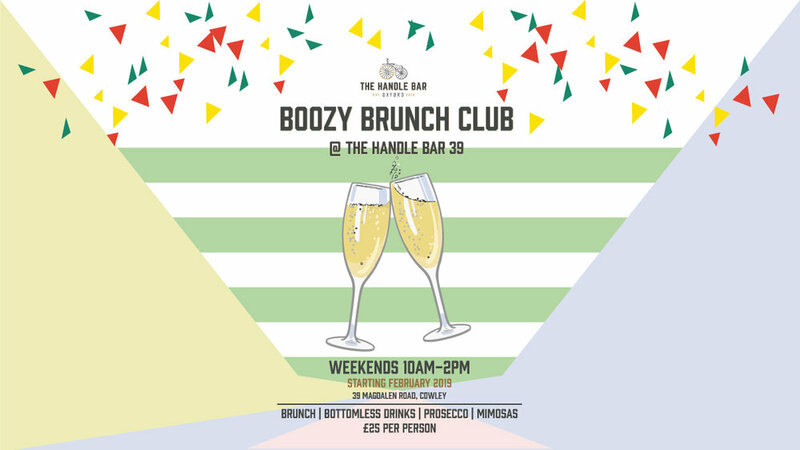 For £25 per head, you'll get the choice between bottomless prosecco, mimosas or bloody Mary's plus the choice between any of our avocado on toasts, or any of our pancakes stacks or any of our poached eggs. .
Book via email: handlebar39@gmail.com or via phone 01865243280.